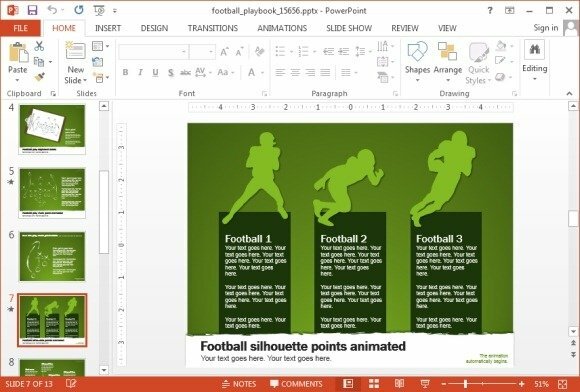 Presenting football related statistics, general information, strategies and scores in the form of a presentation can be difficult and making such a presentation can take hours of work. 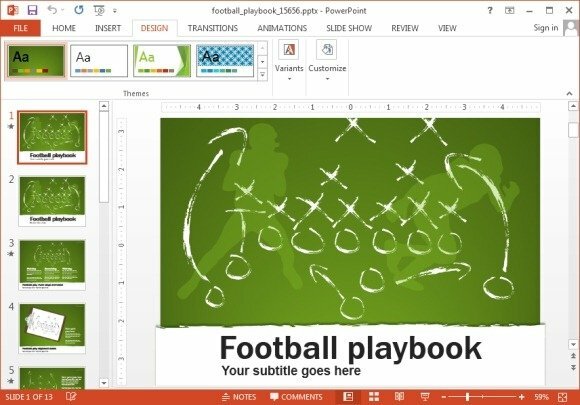 For example, you might be a coach looking to present a strategy to your players for the next game or maybe just a football enthusiast looking to present some information for a school assignment. 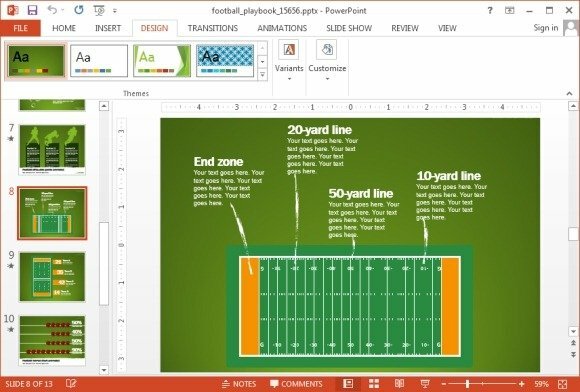 Wouldn’t it be nice to have a readymade template that has all you need to make presentations related to Football? Luckily, there is one! 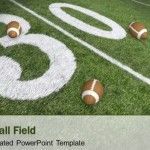 The Football Playbook PowerPoint Template is an excellent resource for making football related presentations. 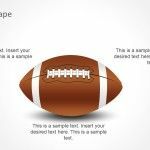 This PowerPoint presentation template comes with both animated and static versions of slides that you can easily customize. 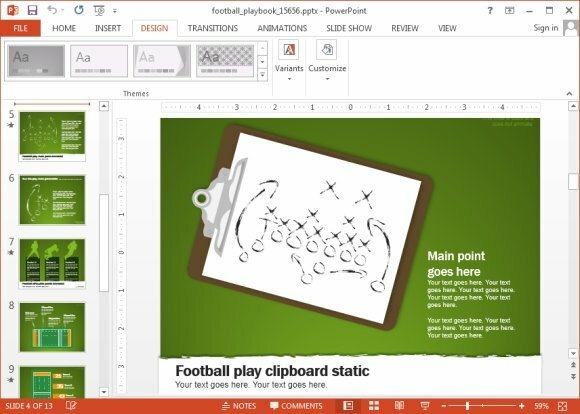 You can easily customize both types of slides, as the animations will automatically mix with your added content to complement your added text and images. 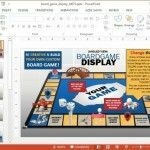 Whether you want to share a strategy for the big game with your team or wish to present game plans from famous international games, the various layouts in this template can help you present such information with ease. 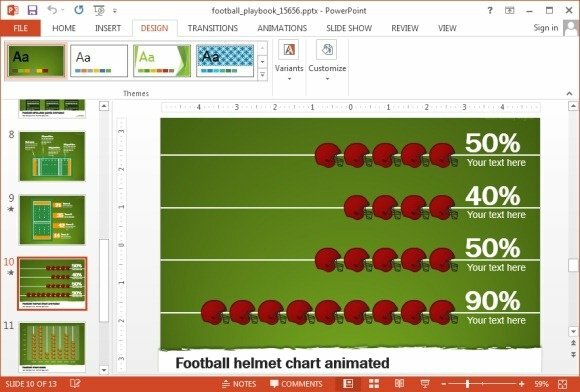 The template offers interesting chart layouts which can be used for presenting data in a more interesting manner. Similarly, you can use the comparison slides in this template to compare sets of information side by side, within a single slide. 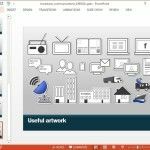 Whether you need to create text heavy slides or want to present something using mere images, these slides can be adjusted to suit your requirements. 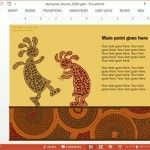 Speaking of images, the template also offers standalone clipart images which can be reused across slides. 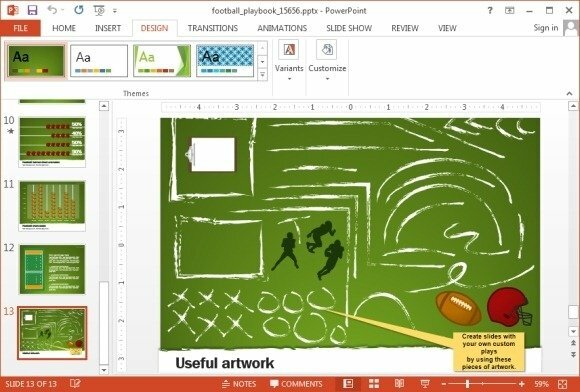 This artwork provides images of football, players, scoreboards, etc.